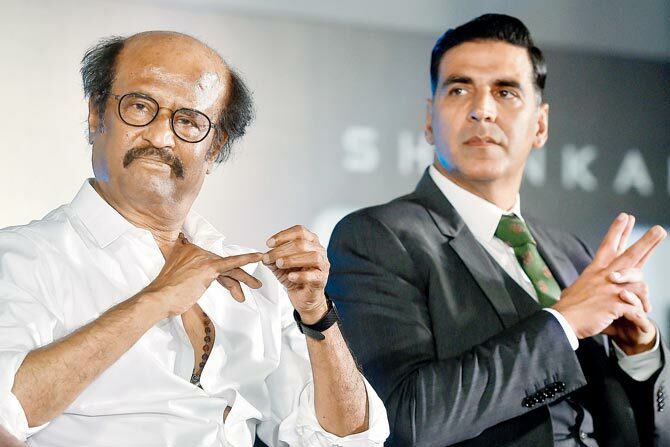 Rajnikanth’s been saying that you are both, the hero and villain of 2.0. What does he mean by that? That’s his niceness. He’s just being humble and good to me. Rajni Sir is absolutely the hero of 2.0. I may be the villain. But I’m not a black villain. My character has a grey shade. And that you will come to know when you watch the film. That’s what 2.0 is all about. Rajni Sir is Chitti. The next Robot. Why is the film called 2.0? When something is worked upon to create a superior or far more advanced version of the original, it’s called 2.0. That’s how this film got its title. So Rajni Sir is 2.0. I hope they understand that 2.0 is our fantasy film and it’s made to our sensibilities. It was a very hard film to make. 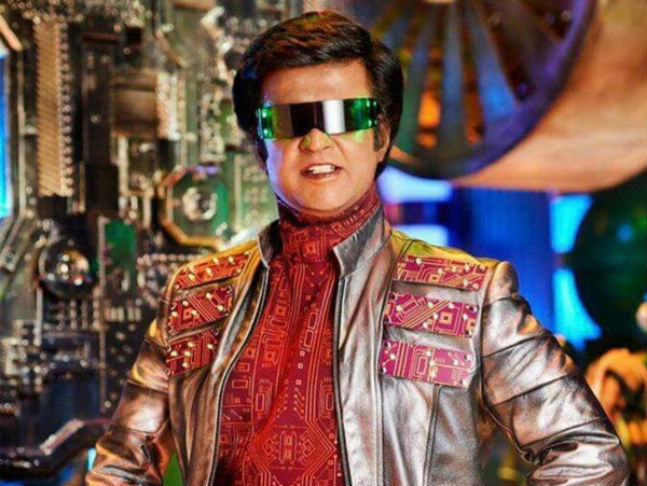 Did you see the original film Robot in 2010 to get a better understanding of Rajnikanth and his robotic character Chitti? Yes, I saw it in Dubai with my son. And I enjoyed Robot. The film is so much fun. It’s a ride. An up and down (roller-coaster) ride. Film mein kuch bhi ho raha hai – lekin mazza aah raha hai. There are military tanks going up. The entire Army is out. Now tanks don’t go up when blasted, but inRobot they do. It’s such great fun to watch. The climax goes on and on and on. But you are having such a good time you don’t want it to stop. Anything can happen in a Rajni Sir film. It’s amazing what all he does. He’s like James Cameroon on steroids! I think what happens is that (director) Shankar Sir gets a dream at night and then comes to the studio next morning and picturises it. “Let’s do this, okay?” he says. There may be no logic to it. But his base is fantasy. And I hope our audience and critics also see 2.0 that way. Like they do, say, Hollywood films like Avatar, Transformers, Avengers... What’s the logic behind those films? But when our critics review them, they write in such glowing terms. I hope they understand that 2.0 is our fantasy film and it’s made to our sensibilities. It was a very hard film to make. You saw the 3D effects in the trailer, now come and enjoy the fantasy on November 29. But it’s amazing, all these Hollywood films we spoke about, they don’t have a message. Whereas 2.0 has a huge international message that is very subtle and just comes up. You realise behind the fantasy jo bhi baat hai, woh sahi hai. It’s a beautiful message that’s very much needed in this day. You make films grounded by reality and have not been a sci-fi aficionado. But your wife (Twinkle Khanna, the bestselling author and former actress) is a huge reader of this genre of speculative fiction dealing with science, technology, time travel, extraterrestrial life, etc. Did she influence you to take up 2.0? No, Tina didn’t influence me to do 2.0. She didn’t even know I was going to do it. We both enjoy Rajni Sir’s character Chitti. The name “Chitti” itself is amazing. It attracts you. When I told Tina I was doing 2.0 and it was the sequel to Robot, she laughed excitedly and said, “Very good! Very good! So what’s your name in the film?” And I told her, my character’s name is Pakshiraja! Your role was originally meant for Arnold Schwarzenegger the Hollywood superstar of sci-fi films. Were you thrilled to replace the Terminator? It’s obviously a big deal for me. But I didn’t replace Schwarzenegger. His agreement didn’t come through with the filmmakers. The role was originally written for him, it is true, I just stepped into his shoes. I am so lucky to get something like this. I don’t think I deserve it. This is the first time I have not seen a film of mine before its release. I have been told to see it on November 29. There is no trial show. Which Hollywood sci-fi thriller, fantasy adventure or superhero film would you compare 2.0 to? I would say it’s bigger than any such Hollywood film. Look at their budgets. If you take this film’s budget of Rs. 510 crore and tell them to make a film, those Hollywood directors will not be able to. But this man, Shankar Sir, succeeded. The film’s his hard work and vision. He worked so hard each and every day, not just in directing 2.0, but also sitting on the special effects. It is the most expensive film made in India. I hope it works like Baahubali did so that people can make more expensive films and there can be bigger business. When accepting the role of the villain here, did you have any fears that your fans may reject you because you have always played the hero? It’s just a character I am playing. Even if I am a full-fledged villain in the film, it’s just a character. And fans understand this. You seriously don’t think just because I’m playing the villain’s role my fans will start hating me. You think the late Amrish Puri ji was hated? He played so many villainous roles! A still from 2.0 featuring Akshay Kumar. You never get bored watching Rajni Sir. He puts style in everything. What was your reaction on seeing yourself in 3D for the first time? This happened at the Tamil 2.0 trailer launch in Chennai. I was sitting next to Shankar Sir in the auditorium. And he whispered in my ear, “Sir, this is nothing! You just wait!” Okay, so I am actually waiting. This is the first time I have not seen a film of mine before its release. I have been told to see it on November 29. There is no trial show. Nobody has been shown anything. But, the tragedy is I won’t be able to see it on November 29 because I will be in Thailand attending a friend’s wedding. I will finally see 2.0 on December 3, when I return. 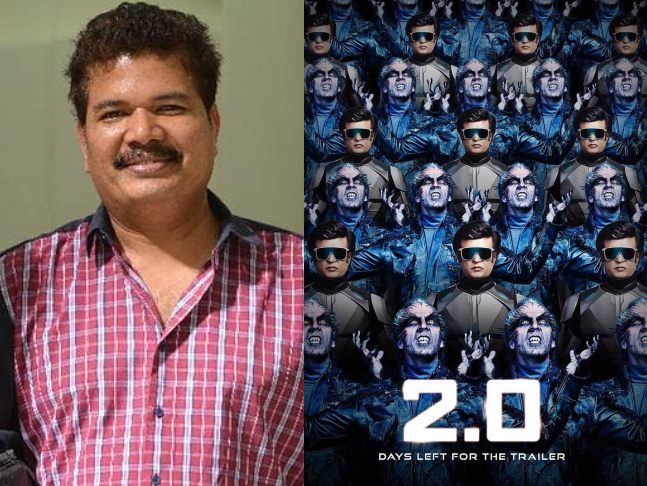 Rajnikanth praised your patience and dedication while working on 2.0. What praise do you have for him in return? What can I say? Rajni Sir ka toh jawab nahi hai! That man, you just give him a single line in a simple dialogue, and he will say it in such a way that you can’t help but enjoy it. Every line, he has to have some gimmick. He left me feeling – wow, this is also how you can say this dialogue. Everything about Rajni Sir is a style. How he puts on his glasses. Pushes back his hair. He raises his hand, and audiences go, “Aaah, kuch ho gaya!” But I am like, arre kya ho gaya lekin? Mere ko bhi batha toh sahi kya hua! You never get bored watching Rajni Sir. He puts style in everything. What he does might not go with the screenplay, but it goes with his image. Is there any one nice or great quality about your negative character from 2.0 that audiences will take home with them? They’ll take home the whole character! Does that make him nice? No, he’s something different. What was the biggest attraction in accepting 2.0? The script, the opportunity to work with the great Rajnikanth, the chance to break into Tamil and Telugu cinema, the negative character’s role? Everything! The screenplay, the opportunity to work with Rajni Sir and Shankar Sir – I loved the fact that they were making a film with an international message, and the awareness that I’m going to the South!